The most popular places to visit in Malaysia are stunning — and the country's excellent infrastructure makes getting to them relatively painless. Although Malaysia is always ranked well among the most visited countries in Asia, Thailand usually steals the limelight and #1 spot. Long-term budget travelers often shun Malaysia as being "too expensive" (mostly because alcohol does cost more than in Thailand). Meanwhile, short-term vacationers in Southeast Asia seem to skip Malaysia for lack of time. You'll most likely fly into Kuala Lumpur when traveling to Malaysia, so this one's a no-brainer. But unlike some other big cities in Asia where travelers arrive and get out of town as soon as possible, Kuala Lumpur is a worthwhile destination of its own. The mix of Malay, Chinese, and Indian influence means you'll have no shortage of culinary exploits in Malaysia's capital city. The cultural diversity is a big part of KL's allure. Take a short walk or jump on the extensive train network and you can see the delights of numerous cultures. Kuala Lumpur has no shortage of unique neighborhoods to explore. Interesting sights such as the Petronas Towers, the Perdana Lake Gardens, and the Menara KL Tower provide plenty of enjoyable distractions before you head farther afield in Malaysia. Malaysians are proud of their big island on the west coast — and they should be! The colonial city of Georgetown was made a UNESCO World Heritage Site and has plenty to offer in the way of museums, a seaside fort, historic homes, and most importantly, a famous street-food scene. Numerous artists have left their marks in the form of murals along the streets of Georgetown. Cafes, shops, and things to do can be found dotted throughout. Penang is considered one of the best places in Southeast Asia to sample delicious street food of all types. The waterfront esplanade known as Gurney Drive in Penang is lined with stalls and eateries for trying local Malay, Chinese, and Indian treats, among others. Backpackers and budget travelers love Malaysia's Perhentian Islands, especially Perhentian Kecil — the smaller of the two islands — where fine sand and excellent snorkeling/diving fill the day before parties start at night. Nearby Perhentian Besar — the big island — caters more to families, couples, and travelers who are willing to spend more to enjoy the blue water and skip some of the partying. Regardless of the island you choose, getting to the Perhentians requires taking a speedboat. There are a few challenges for setting up shop on the islands. The Perhentian Islands are very seasonal. Accommodation can be difficult to find on Perhentian Kecil in July, the peak month, but the islands are mostly empty during the winter months due to rain and stormy seas. The Malaysian part of Borneo is divided into two states: Sarawak in the south and Sabah in the north. Both have different vibes and charms. The Rainforest World Music Festival held outside of Kuching each summer is one of the most exciting music-and-culture events in Southeast Asia. Spelled locally as "Melaka," Malaysia's Peranakan city of Malacca is a worthwhile stop for cultural, historical, and colonial sites. UNESCO even declared Malacca a World Heritage Site in 2008. Visitors are rarely disappointed by the old town in Malacca. If nothing else, the relaxed vibe is pleasant enough to keep people around for a few days. The close proximity to Kuala Lumpur makes getting there by bus easy. Train isn't an option in Malacca. Tip: Many shops and museums close in Malacca on Tuesdays — plan your visit accordingly! Taman Negara literally means "national park" in Malay, and well, that's what it is! Taman Negara is Malaysia's oldest national park and is considered to be one of the world's oldest tropical rainforests. A long canopy walkway gives visitors a chance to see life high in the trees that normally isn't visible from the ground. You can enjoy waterfalls and beautiful trekking, bird spotting, rafting, fishing, night safaris, and there's even a chance to see wild elephants — if you're very lucky. Tourists sleep across the river in Kuala Tahan and then take cheap boats to the park entrance. Some serious guided trekking is available in Taman Negara as is caving. Malaysia's green Cameron Highlands are one of the few places in Southeast Asia where you'll actually want a jacket or warm blanket at night. After sweating across tropical climates, you may appreciate the change of climate. The Cameron Highlands are like nowhere else in Malaysia. You'll see plenty of lush scenery, tour beautiful tea plantations, and enjoy access to decent hiking trails that weave through plantations and around volcanoes. Strawberry farms, butterfly gardens, and flower greenhouses are all enjoyable distractions to be found in the Cameron Highlands. The climate provides good conditions for growing fresh vegetables and producing delicious local honey. Located on Malaysia's east coast not too far from Singapore, Tioman Island is a different kind of island destination. Accommodation and excellent diving are surprisingly inexpensive; development is relatively minimal for such a nice island. Abundant nature and scenery make up for the island's severe shortcomings in the culinary department. 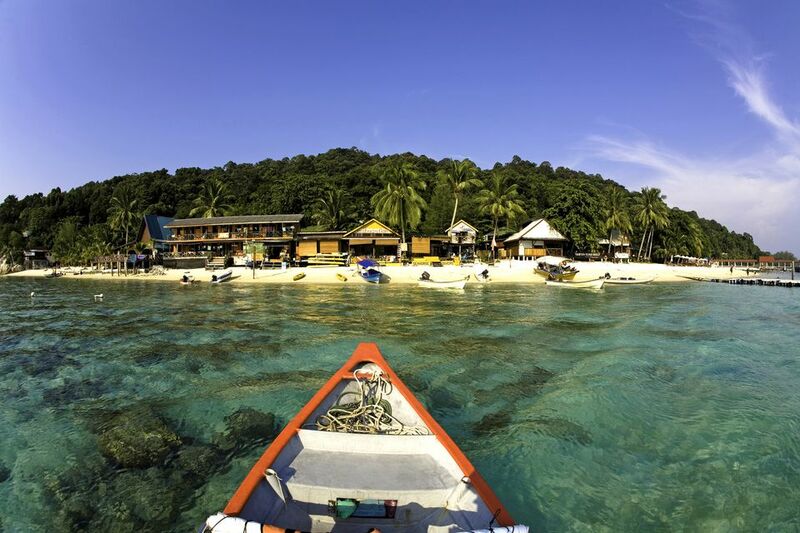 Tioman is carved into many different beaches; you'll have to choose when arriving by boat. Some beaches are secluded and surrounded by jungle. ABC Beach is arguably the most popular beach, particularly for budget travelers. Moving between beaches by boat is the regular option, unless you're up for a jungle hike through the interior. Tioman Island enjoys duty-free status just as Langkawi does, but don't even consider taking your tax-free liquor across the border into Singapore! With an airport and ferries connecting it to the mainland, as well as a large tourist infrastructure, Langkawi could unfairly be called Malaysia's version of Phuket, the busiest island in Thailand. Langkawi has many tourist attractions on offer such as Malaysia's largest indoor aquarium, a cable car, and the Sky bridge that allows views across the island. Unfortunately, the drone of jet skis cause the busiest beaches to be less serene. Duty-free status means that beer is sometimes barely more expensive than bottled water! Flights from Kuala Lumpur to Langkawi can be found for as cheap as US $20! Getting to the island is fast and inexpensive. Selangor is busy and booming; shopping malls sprawl in many directions. When you can't possibly shop anymore, head to the nearby Genting Highlands — Malaysia's version of Vegas perched on top of a mountain. The First World Hotel was once the world's largest hotel with 6,118 rooms and a theme park. But Selangor isn't just about concrete and glowing signs: The famous Batu Caves there are a Hindu shrine with the largest statue of Lord Murugan (the god of war) in the world. The Batu Caves draw large crowds, especially during the Thaipusam holiday. When you're ready to be wooed by nature, the abundance of fireflies along the river in Kuala Selangor is a dazzling spectacle worth seeing!